There are two big battles to be won in the life of a reader. 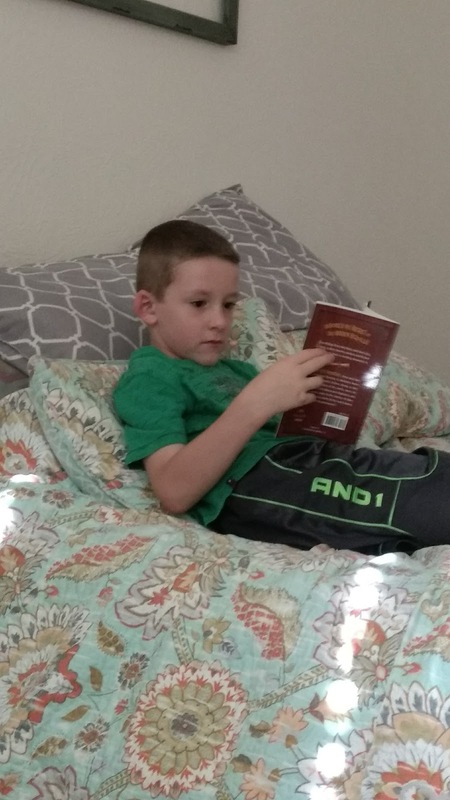 #1 is to spark a love of reading. #2 is to find them good books to read. When said reader (J, 6 years old) goes from the mailbox to my bed with a new book and doesn't leave for a while, it would seem we have been victorious on both accounts! 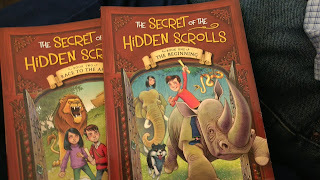 Needless to say we were very happy for the opportunity to review the first two books in the time-traveling adventure series, The Secret of the Hidden Scrolls by M.J. Thomas, from WorthyKids/Ideals, the company that brings us the favorite children books VeggieTales and Berenstain Bears. 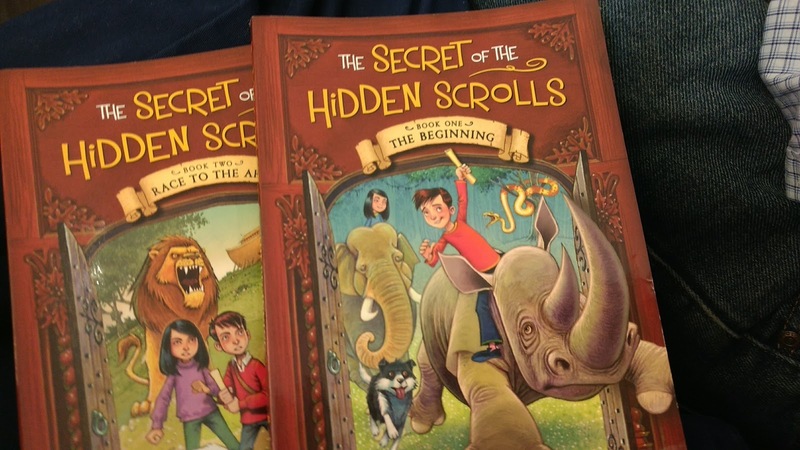 Like them, these two books are designed to build children's faith and knowledge of the Bible all while capturing the readers attention with mystery and excitement. 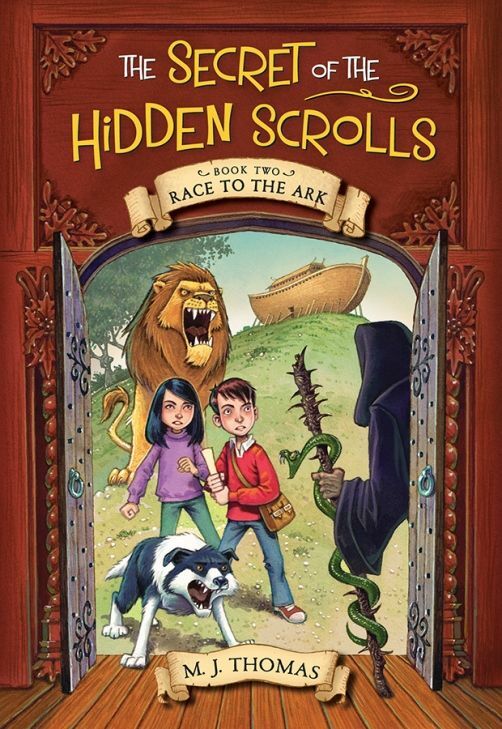 The author, M.J. Thomas, went looking for engaging books that taught his kids about the Bible. Having no luck, he decided to write some himself! The main characters are named after his son Peter, niece Mary and his dog, Hank. "Mom, Mom! You don't understand! It's like I'm really there! Like in the Bible!" 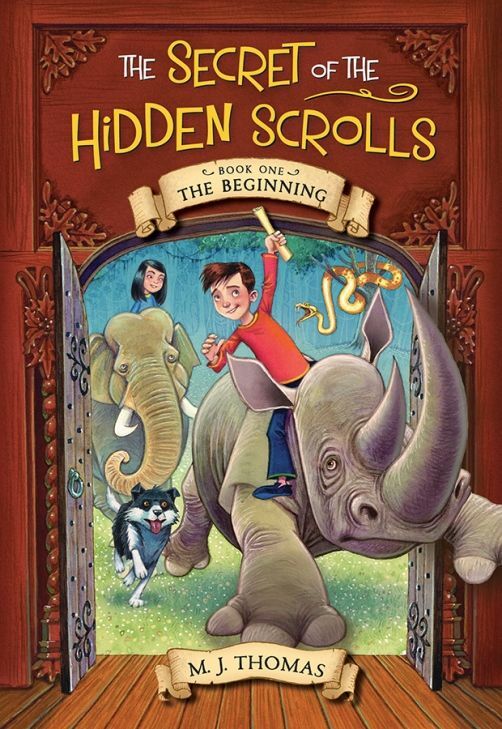 "They had to find out what the scrolls said. Peter got chased by a rhino to a tree. Then a monkey stole the scroll. My favorite part was when they had to swim to a boat because I like swimming. I like Peter because he reminds me of Jack in the Magic Treehouse books." "It started to rain then a lion roared when they needed to go to the city. They had to race to the ark. They met Noah's family. Noah's family was nice. Mary decided to choose where the animals went - big animals on the top and little animals on the bottom and middle sized animals in the middle. My favorite part was when they went back home because it was the same as when they had left. Almost at the end when the lion roared at satan and it was scary and I seriously almost cried!" These books are intended for independent readers age 6-9 or enjoyed by the whole family as a read-aloud. In either case, these books could be a great way to engage Bible events in your family's daily life. We were very impressed by these books and greatly anticipate reading new ones in the future!